In the tablet Galaxy Tab E thickness of only 8.5 mm and weighing 495 grams perfectly combines design and superior ease of use. The surface of the rear cover mimics the effect of tissue, whereby the tablet fits comfortably in your hand and you can not be afraid that it slips. The powerful 5-megapixel main camera Galaxy Tab E with convenient features shooting photos and video with one touch will allow you to shoot all the unforgettable moments of your life. Switching to continuous shooting mode by holding down the camera button. The “Multiple windows”, which allows you to work simultaneously with two applications on one screen, save your time and increase productivity. Working with multiple windows multitasking on a spacious 9.6-inch screen is a pleasure. 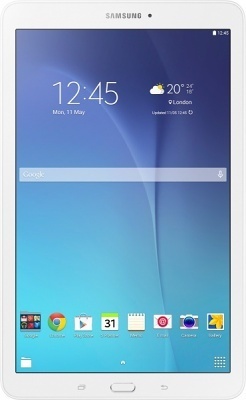 You can not deal with a multitude of functions of your new Galaxy Tab E? Through proprietary applications Samsung Smart Tutor team of specialists will provide you with technical support all necessary assistance remotely. You will be able to access a wide range of services, information, software updates, new features and other useful information without the need to personally visit the service center.